The long awaited solo debut from Chapman Stick player Tom Griesgraber. Features many of the best known compositions from his live shows with contributions from drummers Jerry Marotta, Pat Mastelotto and Darren DeBree as well as the California Guitar Trio and NS/Stick player Don Schiff. 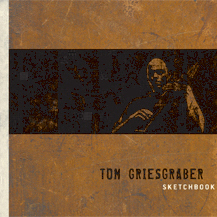 Tom Griesgraber's second solo release with contributions from Mikey Cannon, Darren DeBree, Bert Lams, Pat Mastelotto, Ryan Moran, Jimmy Patton and Peter Sprague. Features five new original compositions with a strongly thematic, theatrical nature plus jazz and classical "standards", a magical live take on a T.G. classic and an adventurous extended version of one of rock's best known favorites. This wide ranging release incorporates rock, ambient/electronic, jazz, acid jazz and world music elements. Sketchbook CD - $13.92 SPECIAL! Buy Tom G's "Sketchbook" and "Whisper" together for just $24! 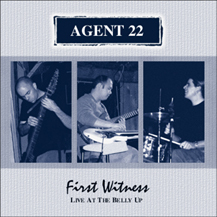 Agent 22's classic first album now with four previously unreleased tracks and all new mixes and mastering for dramatically improved sound quality. 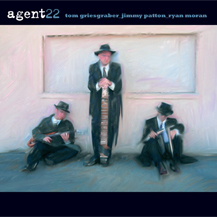 Showcases the best work of the original Agent 22 trio with Tom Griesgraber on Chapman Stick, Jimmy Patton playing two guitars at once and Ryan Moran on drums and percussion. 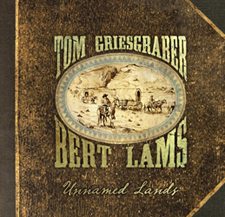 The first studio release from Chapman Stick and acoustic guitar duo Tom Griesgraber and Bert Lams, Unnamed Lands is the culmination of over four years of work and is one of the most inspired projects either musician has ever been a part of. Fourteen original instrumental tracks work together as a whole to tell the story of a group of wagon train pioneers heading west circa 1840. A lavish 12-page booklet features original stories presented as "diary entries," along with fantastic original artwork to further immerse the listener in the experience. This artistically crafted album presents a musical style both new and familiar. 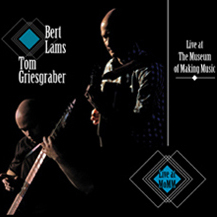 Only available here and at their shows, "Live at The Museum of Making Music" is an "official bootleg" release from guitarist Bert Lams and Chapman Stick player Tom Griesgraber. Recorded in the fall of 2008 during a west coast tour, the CD captures the duo performing at The Museum of Making Music in Carlsbad, CA and gives a first glimpse of some new compositions and new twists on old favorites from their past recordings. 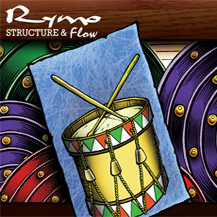 The solo debut from Rymo (aka: Ryan Moran), best known as the drummer for Slightly Stoopid and Agent 22. But don't expect an album of nothing but furious drumming as Rymo's skills reach far beyond the kit and into Didgeridoo, keys and percussion and composition. The album also features many contributions from Tom Griesgraber (guitar, Stick, bass, synths), Kent Oberlin and others. SPECIAL! "Structure and Flow" with "Agent 22 (special edition)" for only $22! DÚBH is: Damien Bracken - vocals and keyboards, Jason Camelio - guitar and backing vocals Tom Griesgraber - electric bass, Chapman Stick, acoustic guitar, Theremin and Moog Taurus bass pedals, Marek Dykta - guitar Dave Brooks - drums, percussion and backing vocals. 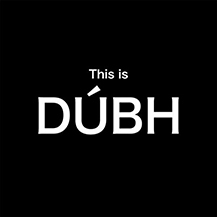 Hailing from a place with music at its core, DÚBH is the expression of an evolving concept that explores the positive affirmation of life and love. A celebration. PLAY IT LOUD! 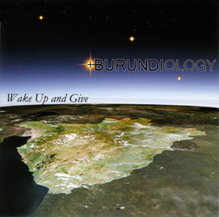 A unique collaboration for a special cause, Burundiology: Wake Up and Give is a multi-styled Christmas album done in support of Burundi Friends International, a non-profit (501, c3) organization based in San Diego, CA that seeks to fight poverty in Burundi, Africa by providing education, health care and self sustaining enterprise opportunitues. Co-produced by Julie Marner and Tom Griesgraber, Wake Up and Give features contributions from no less than seventeen area musicians including Agent 22's Ryan Moran and Tom Griesgraber. 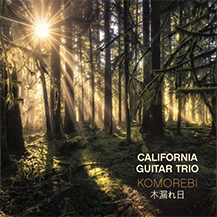 The Japanese word Komorebi describes light filtering down through trees and it's a striking visual image that shares a symmetry with the sound of this California Guitar Trio CD of the same name. For the album, the trio went for a pure acoustic tone with all three guitarists playing together around the same microphones. The album was recorded and mixed by Tom Griesgraber who also makes a cameo on Theremin for a cover of The Beach Boys' "Good Vibrations." Other guests include Tony Levin, Petra Hayden, Davide Rossi and Nora Germain. SPECIAL! Buy "Komorebi" with TG's "A Whisper In The Thunder" for only $25! 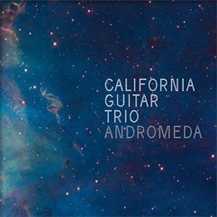 This latest release from the reknowed California Guitar Trio is their first to feature all original compositions and improvisations. Special guests include Tom Griesgraber, Tony Levin, Julie Slick, Eric Slick and Tyler Trotter. SPECIAL! Buy "Andromeda" with TG's "A Whisper In The Thunder" for only $25! 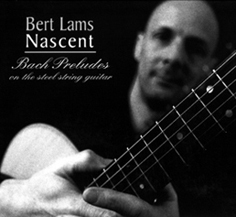 Bert Lams' masterful solo acoustic work includes some of the first-ever transcriptions of the Bach preludes for flatpick guitar. "A living music continues to speak through those players who connect with its intention, integrity and inner vitality. Bach speaks to Bert Lams. Fortunately, Bert tells us what The Big Guy Says." 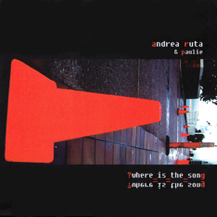 Andrea Ruta & Paulie - Where Is The Song!? Tom Griesgraber makes a guest appearance on this release from the Italian duo Andrea Ruta & Paulie. Described by them as a "crazy and noisy description of reality" the music is a highly artistic form of rock with wide ranging instrumentation and sound recordings. Other guests include Tony Levin, Robbie Dupree, Larry Lelli and Mary Gatchell. SPECIAL! "Where is The Song!?" with "A Whisper In The Thunder" for only $24! 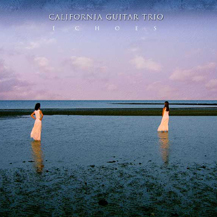 Tom Griesgraber makes a guest appearance on two tracks of this release from the remarkable California Guitar Trio (Paul Richards, Bert Lams, Hideyo Moriya). The album is a collection of well known cover songs that range from classic rock to classical, including Bohemian Rhapsody, Freebird and Music for a Found Harmonium. Tom's Stick and bass work can be heard on the tracks "Tubular Bells" (by Mike Oldfield) and "Echoes" (by Pink Floyd). Other guests include Tony Levin, Jamie Masefield, Bonnie "Prince" Billy, Tyler Trotter and Pat Mastelotto. SPECIAL! Buy "Echoes" with TG's "A Whisper In The Thunder" for only $25! 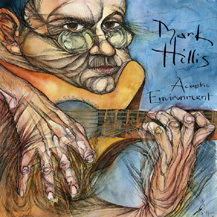 Tom Griesgraber makes a guest appearance on two tracks of this release from San Diego artist Mark Hillis. This instrumental album features Mark's distinctive acoustic guitar playing along with contributions of bass, trumpet, percussion, violin and of course Chapman Stick. Tom can be heard on the tracks "Shades of Red" and "Synthesis." (click for samples). 11" x 17" poster with a collage of artwork from the concept album Unnamed Lands. Original artwork by Jack and Laurent Duriex. Full color 11" x 17" poster with photography by Craig Chambless and Howard Givens. Live CD recorded during the Belly Up Tavern's Best of the Year competition. Raw excitement and energy permeate eight tracks which include new arrangements, compositions and improvisations. 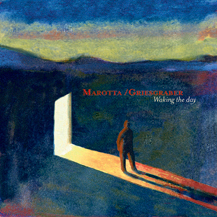 Legendary drummer Jerry Marotta and Chapman Stick player Tom Griesgraber team up for this instrumental CD that travels from heavily layered rock grooves and textures to lighter more melody based compositions. Guest include Harvey Jones and Tony Levin. DOMESTIC (US) SHIPPING AND HANDLING - Rates are based on total merchandise price. California residents - please add 8.0% sales tax. All orders are shipped first class and will be shipped within 2-3 business days of being received. Rates are based on total merchandise price. All orders are shipped by Airmail and will be shipped within 2-3 business days of being received. Typical delivery times are about 10 days. Payment by credit card - Please call ThosSounds at 760-942-1031. We accept Visa, Mastercard, and Discover and you may place your order 24 hours a day, 7 days a week. Email us at info@thossounds.com or give us a call at 760-942-1031. ©2018 ThosSounds. All Rights Reserved.